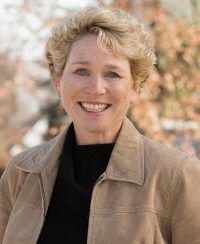 Chrissy Houlahan is running against Republican Greg McCauley in an open race to represent Pennsylvania's 6th Congressional District. Houlahan is a strong advocate of using diplomacy to address international tension and conflict, whether seeking to end wars in the Middle East or to prevent wars with Iran and North Korea. Having served as a Captain in the U.S. Air Force, she believes Congress’ abdication of its duty to decide when we wage war and when we don’t does a shameful disservice to our nation’s soldiers. In an era of endless war, we need leaders like Houlahan in Congress who will fight to abolish this dangerous status quo and reestablish congressional oversight on war. Supporting candidates like Chrissy Houlahan through Peace Action lets them know that diplomacy and peace issues are a priority that you want to see them take leadership on. Please support Chrissy Houlahan today!